7 Oct 2017, 3 p.m. 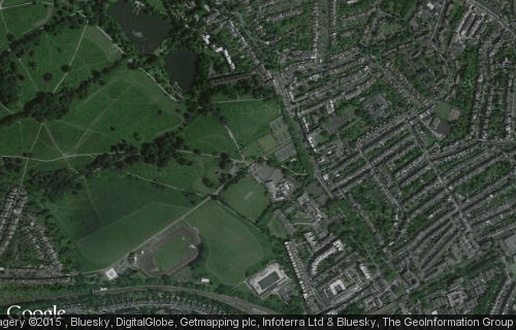 The game itself was to be played in a rather delightful part of North London. So delightful that the pitch appeared to be grade II listed, seemingly preventing Hampstead from being able to flatten it out. As a result, with the wind and the slope against Hackney in the first half, they knew they would need a big performance. Hackney in fact started well. Some robust defence and big carries from the likes of Sudell and Alderson got us on the front foot. Hands in the ruck gave O’Hara a chance to put the Griffins 3-0 and he managed to kick the ball off the one bit of his boots not covered in rust to give Hackney the lead. Hampstead hit straight back, with big carries from their backs, some of whom undoubtedly fell into the category of ‘large men’. A slick passage of offloading resulting in a Hampstead unconverted try. 5-3 to the home side. Back Hackney came again. A strong set piece, including a few big scrums, gave the away side great field position. Several phases of attacking play nearly wielded a try for PJ in the corner but the referee brought play back for another Hackney penalty. O’Hara obliged again to give a 6-5 lead. The next 15 minutes did not go so well for Hackney. Rumour has it that we touched the ball during that period, but like Lord Lucan or Shergar, such sightings remain unconfirmed. However the defensive line was holding up nicely. Well, it was, until the guards decided to ignore every bit of defensive practice they have ever been taught and went AWOL, allowing their 6 to stroll straight through the centre of the ruck for an unconverted try. 10-6 to Hampstead. 5 minutes to half-time and, with Alderson off the pitch doing a version of an HIA, the Hackney scrum was creaking. This wouldn’t have mattered had Watmore not had the brain-fart to end all brain-farts, kicking the ball straight out from outside the 22, thinking he was well inside. A couple more creaking scrums and some big carries from Hampstead resulted in a 3rd score for Hampstead just before the half. 17-6 at halftime. Hackney knew that they had the wind and slope. If they could just play the game in the right parts of the field, they would give themselves a great chance of victory. 17-6 was not insurmountable and words were said at half-time to rouse everyone ahead of a big 2nd half. The first score was crucial and the Griffins knew that, they could control their own destiny by getting the next points. Then it was anyone’s game and, with the wind in their sails, Hackney could demonstrate how good a team they can really be. Hampstead duly scored first. 24-6. To compound matters Hackney were still defending more than they would like, sapping their energy and testing their famous stamina. Things got even worse when Ludo Bathgate was yellow carded. The author can’t remember what this was for so I will say it was for either a) having a pass that fizzes just a bit too dangerously, or b) having a silly name. This may have sounded like curtains for the might Hack but, with Conner marshalling things well from his position of auxiliary 9, Hackney threw off the shackles and started to play some exciting rugby. A kick and chase from Ultan gave Hackney good field position, and a tap and go produced quick ball for Sudell to stroll through to the line. Unfortunately one of the Hampstead lads still had ‘beef’ with Sudell for leaving Hampstead and joining Hackney several years ago and attempted to decapitate him. A yellow card and penalty try followed which O’Hara slotted. 23-14 with 20 minutes to go. Unfortunately this was as good as it got for the Griffins. Hampstead, a well organised outfit that had dominated possession, scored the try of the match following around 5 minutes of desperate Hackney defence. Several rumbles down the blindside opened the space up and a cross-field kick was gathered by their winger to touch down. A missed conversion gave the score 29-14. Hackney kept going to the end with Chamberlain exemplifying this spirit, demonstrating an impressive engine more akin to a 32 year old. However he was at times, perhaps, too keen and this resulted in tackling their man for a quick tap right in front of the ref. 10 minutes in the bin followed and Hackney would play the remainder of the game with 14 men. One more score followed by Hampstead to finish the game at 36-14. Hackney had left everything out on the pitch and could genuinely be proud of the effort they had put in. However with only around 25% possession, the sheer volume of tackling they put in was eventually going to tell and there wasn’t enough pattern in attack. 2 training sessions sit between Hackney and their next game and, with competition for places increasing and a near full squad to choose from, it is hoped that continuity will start to see Hackney produce some of their best rugby again.